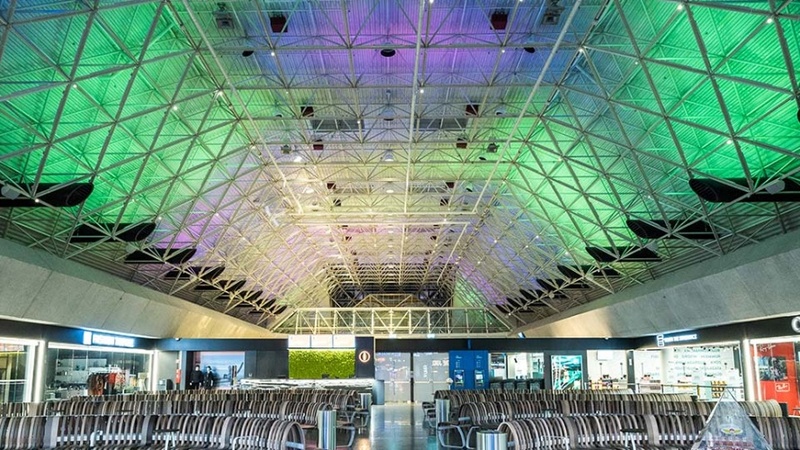 London-based lighting design consultancy Nulty has designed a lighting scheme for Keflavik International Airport in Iceland, which looks to reimagine the Northern Lights. 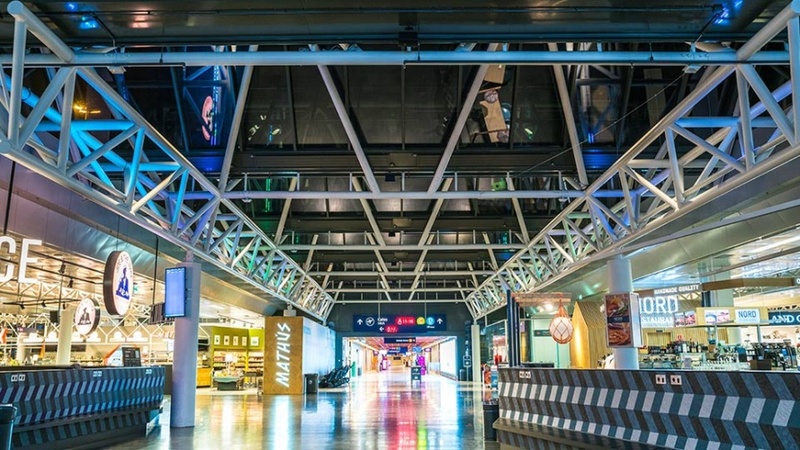 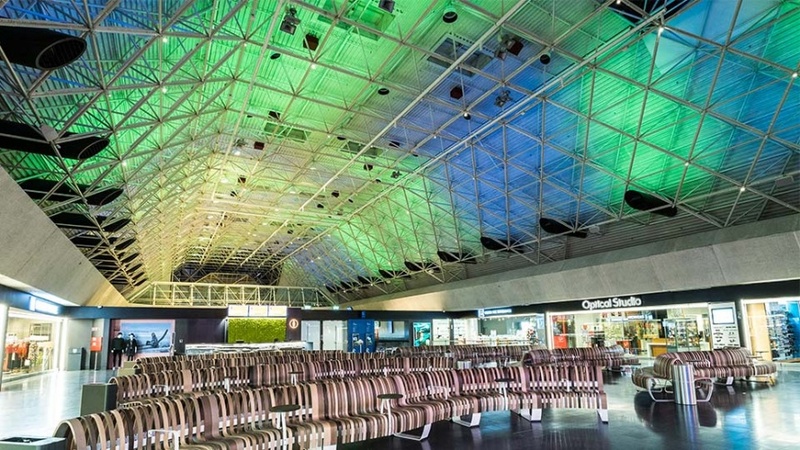 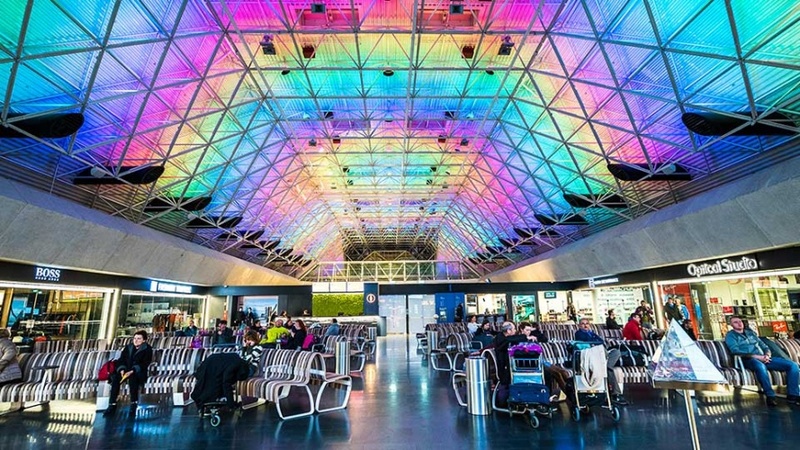 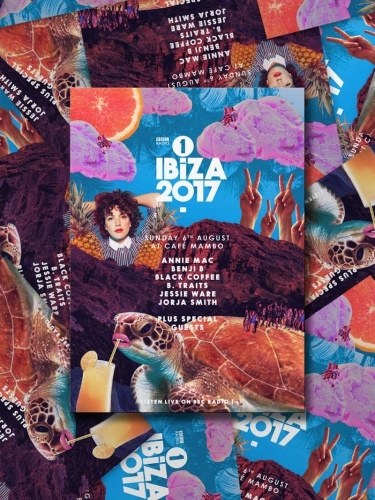 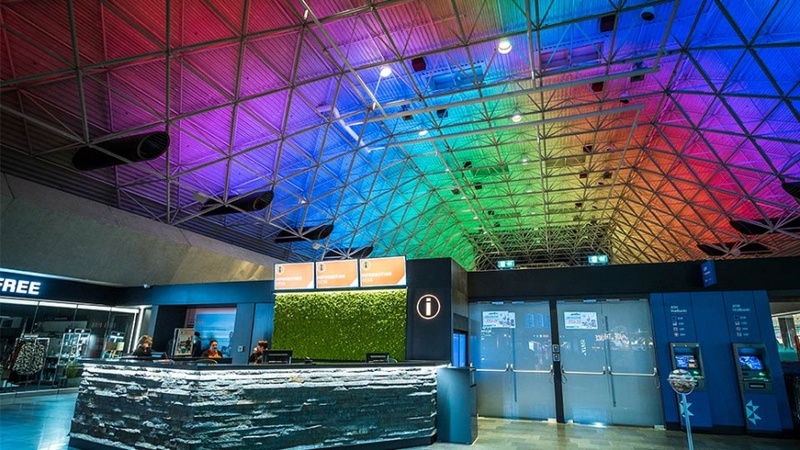 The design comprises an interactive installation of LED outdoor lights, which project a sequence of different colours onto the ceiling of the airport’s arrivals and departures lounges. 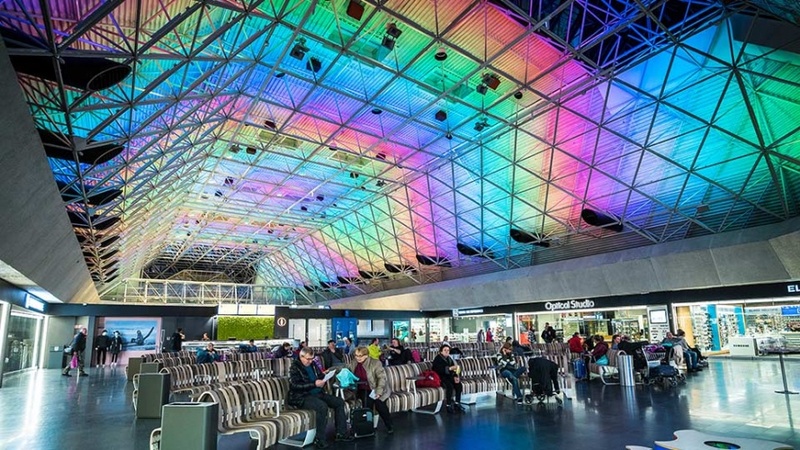 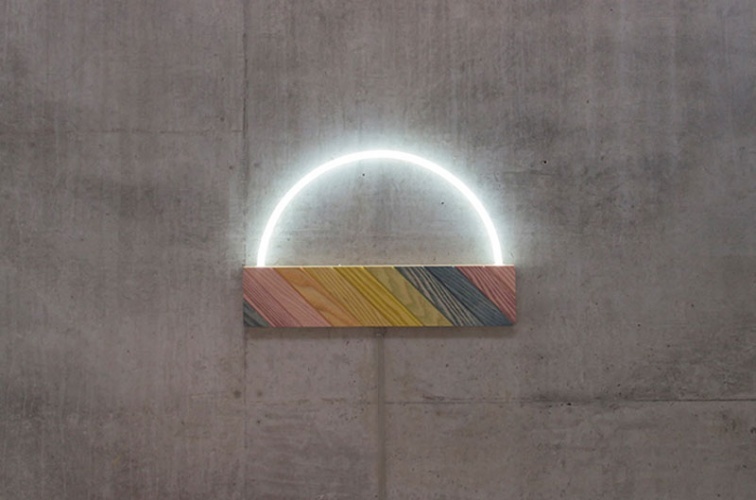 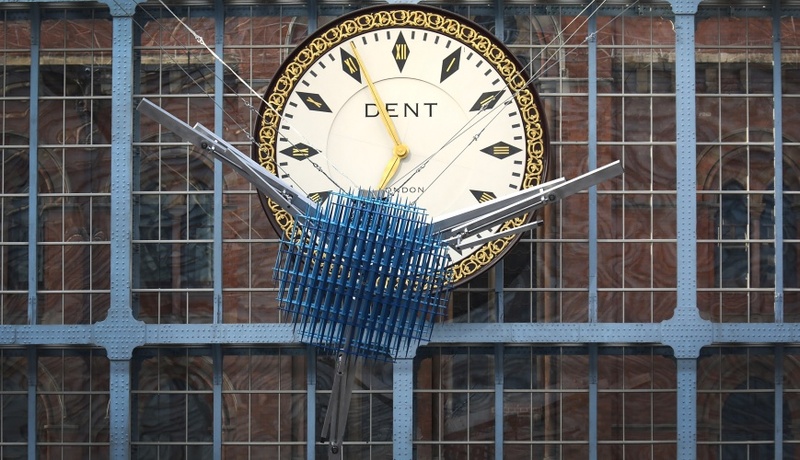 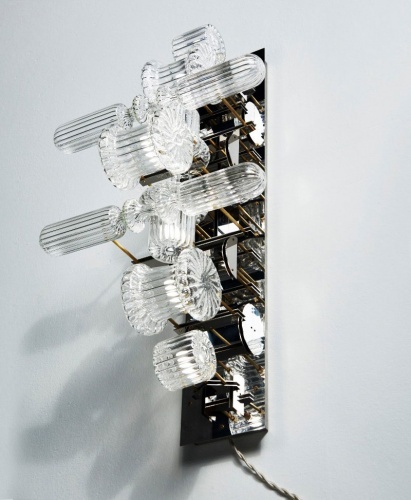 The installation reacts to live weather data, meaning that the light sequence is more or less intense depending on how the aurora itself appears at the time.